High quality industrial-grade russian copper cables set for MPS-2 & MBP-12A boards. 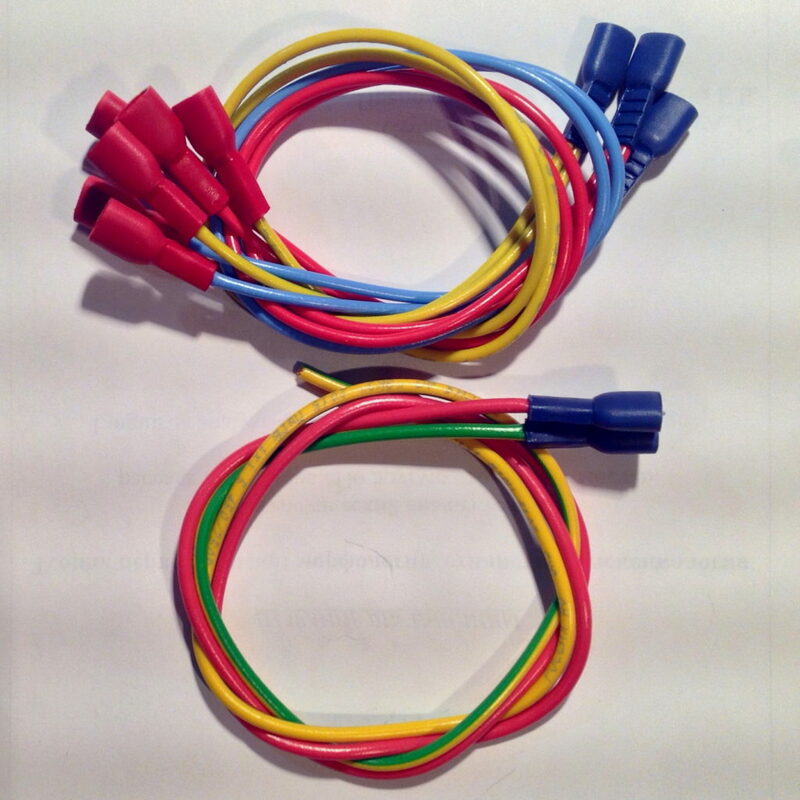 Three Y-type 1mm^2 cables (yellow-green, red, blue) to connect MPS-2 DC-DC board to 2 x MPB-12A boards, 320mm each, with professionally crimped 6.3mm flat female insulated FastOn connectors on both sides. Two 1.5mm^2 cables (yellow-green. red), each 500mm each, with professionally crimped 6.3mm flat female insulated FastOn connectors on one side to connect MPS-2 board to the external power adapter.